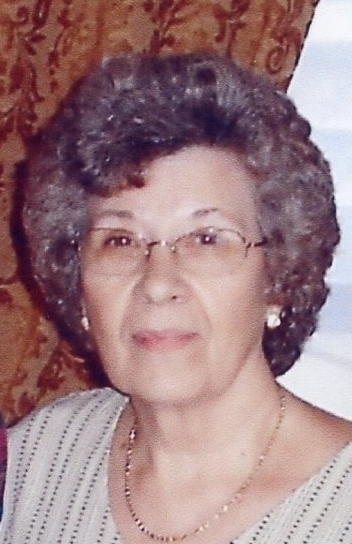 Mary Jane Pfaff, 77, passed away on Thursday, September 06, 2018, at WMHS Frostburg Nursing and Rehabilitation Center. Born on June 27, 1941, in Frostburg, she was the daughter of the late George A. and Martha (Steele) Wright. In addition to her parents, Mary Jane was preceded in death by her husband, Donald E. Pfaff, Sr. and brothers Herm and Louie Wright. Mrs. Pfaff was a member of Trinity Assembly of God in Midlothian. She was a great cook and was very good with her hands as was evident by her needlepoint and sewing projects. She loved to read and put together jigsaw puzzles. She loved the outdoors and going for walks. Robert; grandchildren, Evin Pfaff, Jeremy Harman, Terry Harman, Jennifer Herndon and Matthew Herndon; 3 great grandchildren and 1 great-great grandchild; sister, Lucille Jay; brother, Don Wright; and numerous nieces and nephews. Friends and family will be received at Durst Funeral Home P.A., 57 Frost Avenue, Frostburg, MD on Sunday, September 9, 2018, from 3-5 pm. Funeral services will be at the funeral home on Monday, September 10, 2018, at 11 am with Rev. Rob Culler officiating. In lieu of flowers, the family asks that donations, in Mary Jane’s memory, be made to the Alzheimer’s Foundation of America, 322 Eighth Ave., 7th Fl. New York, NY 10001.